How quickly a contrarian view of life can change when forced to address impending middle age and the threat of premature mortality. 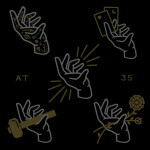 Such is the crux of At 35, the new 7″ release from Chicago’s The Gunshy. Composed of four songs clocking in at under ten minutes, a torrent of memories and resolutions flood At 35. Behind the rough-hewn delivery of singer Matt Arbogast, Jesse Askren, Ryan Ford and Andy Sivwright drive The Gunshy’s ranging sound through the rapid-fire contrition of “Content Man,” the sorrowful cowpunk waltz of the title track and the anthemic eulogy of “Monday Shows” which lingers much longer than its 1:27 run time. 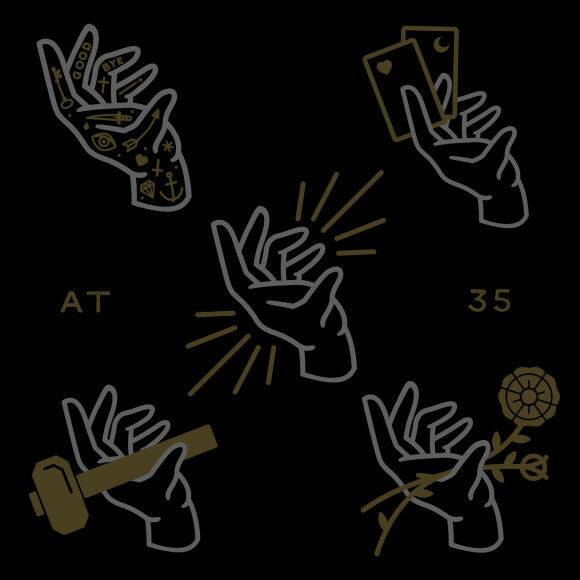 Marking the first recorded output of the band’s current iteration, At 35 follows 2013’s Silent Songs and features Andrew Bryant (Water Liars) on guitar (“Punch”) and frequent musical counterpart Ben Grigg on trumpet (“Monday Shows”). Unafraid to expose his own shortcomings, Arbogast’s tales of personal excess give the listener pause to reassess their own life choices. A poking finger to the chest, At 35 pulls no punches; succinct and sinewy, The Gunshy delivers blunt truths. Kicking off a brief tour tonight in Dekalb, Illinois, check here to see if The Gunshy are headed your way come November. Watch the video for “Content Man” below and purchase At 35 on 7″ vinyl and digital formats via Sleep Recordings. Pingback: Sleep Recordings » The Gunshy’s new 7″ is out today. Watch the second video from it.